Several empirical studies have attempted to assess whether private schools provide better education than public schools. This question is crucial both for educational policy and parents’ school choice. Advocates of school competition often base their arguments on evidence suggesting positive effects of private schooling on educational outcomes. Indeed many studies have demonstrated a positive correlation between Catholic school attendance, which account for the largest share of private schools, and educational outcomes. Yet, a causal interpretation of this relationship is only valid if there are no other unobserved characteristics, such as student ability, that affect school choice and educational outcomes. A new IZA discussion paper by Rania Gihleb and Osea Giuntella investigates whether the positive correlation between Catholic school attendance and educational outcomes is actually causal by using a novel approach that exploits an “religious earthquake” occurring in Rome in the early 1960s: With the universal call to holiness and the opening to lay leadership, the Second Vatican Council inadvertently produced a dramatic change in the cost and benefits of religious life and drained Catholic schools of critical human capital. 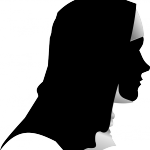 Between 1966 and 1980, the number of Catholic sisters (nuns) was reduced by more than 30% and the share of religious teachers in Catholic schools fell by more than 50%. Because religious teachers were paid, on average, one-third the amount that lay teachers were paid, the sudden and rapid shift in personnel imposed severe financial constraints on Catholic schools and forced many schools to close. Exploiting these supply shocks to Catholic schools, the authors merge diocesan data and data from the US Census to investigate whether Catholic schools indeed produce better students. Assuming that the demand for Catholic schools was unaffected by the “religious earthquake”, Gihleb and Giuntella show that there is no evidence of a positive effects of attending a Catholic school on student outcomes. If anything, they find evidence of negative effects. These results, in turn, suggest that the correlation between Catholic schooling and student outcomes are entirely driven by a positive selection of the students. In other words, students of Catholic schools are likely to be smarter already before attending the school.